If you’ve been injured in a car wreck or other accident, chances are good you’re facing hefty medical bills and possibly a lengthy lawsuit. Personal injury, medical malpractice, premises liability, and similar cases are often long, drawn-out processes that can take months to settle or resolve. In many cases, plaintiffs are also out of work, staring down a laundry list of medical bills with no idea of how to pay it. If you live in Wilmington, Delaware or the surrounding suburbs, the good news is that a lawsuit loan could provide you a little extra peace of mind. 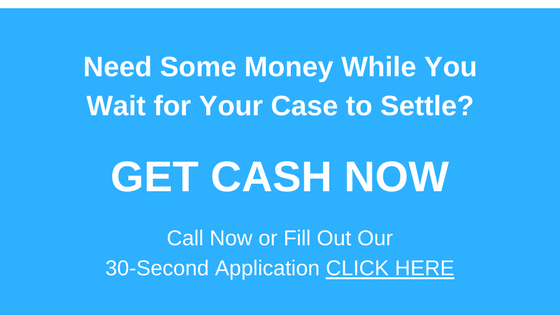 These personal injury cash advances are just the solution to help many people get through litigation proceedings. Lawsuit loans have been a lifesaver for many people who are struggling to make ends meet while going through a legal case, as they provide you with the cash necessary to pay bills and stay afloat while you wait for the outcome of your lawsuit. Many people in the Wilmington area turn to Interstate Lawsuit Funding when they find themselves in need of a lawsuit cash advance. We are a direct lender that provides pre-settlement funding to plaintiffs throughout the state of Delaware. Our staff is familiar with the needs of plaintiffs in Delaware cases, and we can help you get the money you need whether you’re in the beginning, middle, or end stages of your lawsuit. Personal injury accidents happen every year throughout Wilmington and the rest of Delaware, often because of the negligence of another person or business. With a lawsuit loan, you can receive a cash infusion of up to $5,000 to help you pay medical bills, rent or mortgage, and other expenses. Our loans are non-recourse loans, which means you only have to worry about paying back the loan if you win or settle your case. If you don’t win, or the case fails to settle, the money is yours to keep. If you do win, the loan will be repaid from the proceeds of your settlement, so you still don’t have to worry about paying anything out of pocket. Additionally, Interstate Lawsuit Funding does not conduct any credit checks, making us an ideal solution if you can’t get a loan or line of credit from your bank. We also don’t require that you put up any of your assets to serve as collateral, and we offer some of the lowest interest rates in the industry. There is absolutely no risk to you. If you live in Wilmington or the surrounding suburbs, you can get started by calling us at 954-946-0487, or better yet, fill out our quick 30-second online application. We offer funding for a variety of lawsuits in Delaware, including boating accidents, harassment, medical malpractice, negligence, wrongful death, premises liability, class action, and much more.